This is the very first site I ever made, back in 1997. 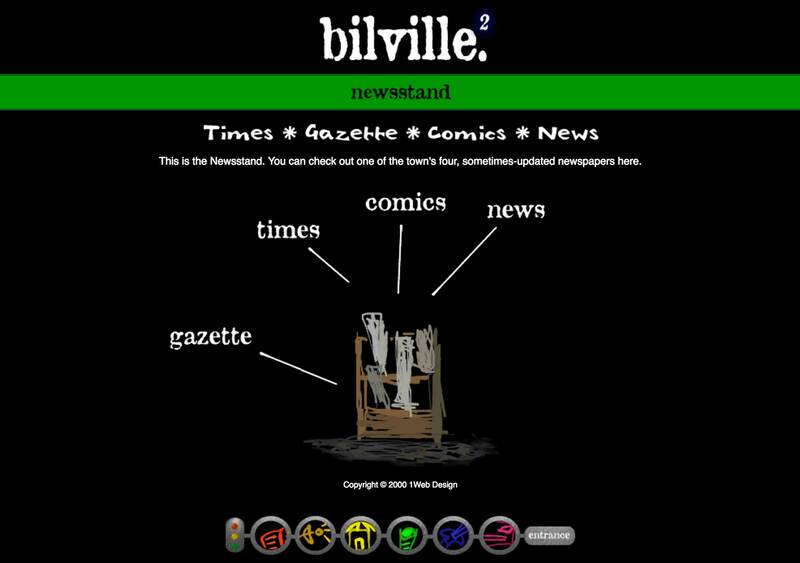 Bilville was a made-up town where I kept the weird short stories I was writing, as well as some comics and art. The stoplight navigation is still a pretty cool concept, with the different lights triggering full new sets of menu items, each one with its own color scheme. The hand-drawn art reminds me of how excited I was to play around with my first drawing tablet. I went for a deliberately rough, sketchy style and matched it with some with some grungy fonts. Note: This is an old site. It's probably buggy.